This moose antler chandelier, shown while being constructed, was commissioned and is now hanging in the portico of a vacation home in Maine. 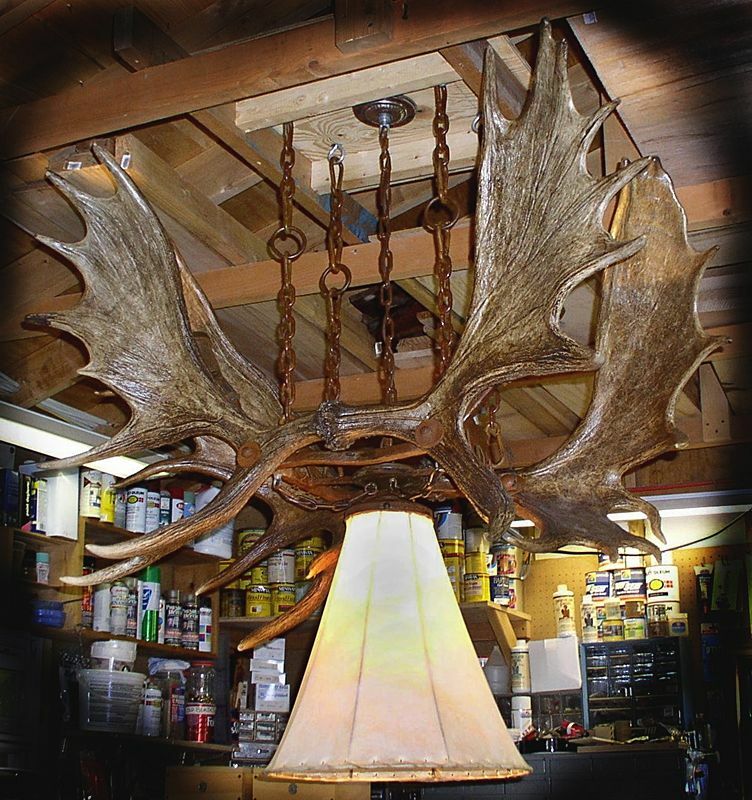 The same clients also commissioned me to build an elk antler chandelier to hang over a Southwest billiard table at the same home. The moose antlers were sent to me by the client.